Chelsie: Continuing our quest to bring you the very best Diamond Jubilee Afternoon Tea's in London we could not miss out Andaz Liverpool Street! Kate and I wrote a post about this unique tea earlier in the year, because we were so impressed with the attention to detail, creativity and extensive choice available! The Diamond Jubilee Afternoon Tea served at Andaz Liverpool Street offers guests something truly spectacular! Each month beginning in February a different British monarch is honoured, and a special menu incorporating their very essence is designed for guests to enjoy. Kate: This afternoon tea has now reached its final month; June and features our beloved Queen Elizabeth II. I love themed afternoon tea's and think this has a very impressive menu capturing the Diamond Jubilee celebrations perfectly! From the start of her reign in the 1950’s, Queen Elizabeth II has been popular at home and abroad. She is the Head of State of the United Kingdom and of 16 other Commonwealth States. During her reign, she has made many official visits abroad and has travelled all over Britain. 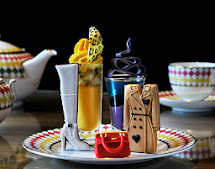 This afternoon tea is quintessentially British, in honour of the Queen’s Jubilee taking place in June. 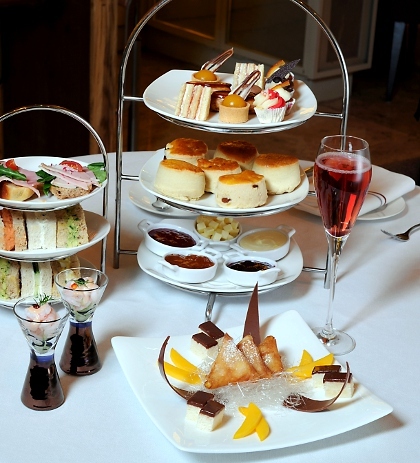 To book your Queen's Diamond Jubilee Afternoon Tea, please call 0207 618 7000 or email london.restres@andaz.com.